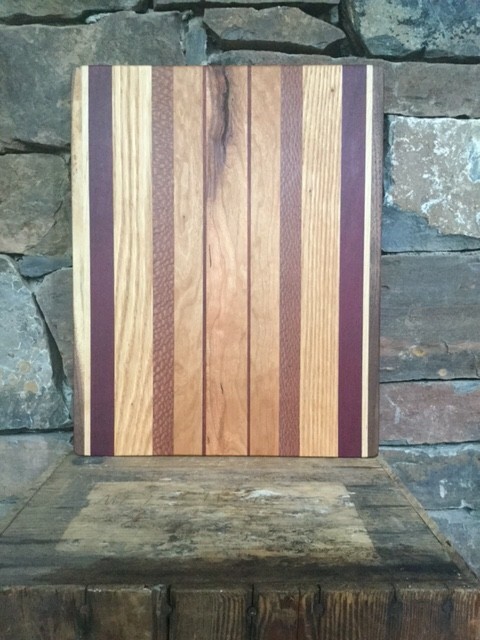 Each board is individually crafted. The woods are gathered to compose an image. Textures, colors and size all contribute to a statement. 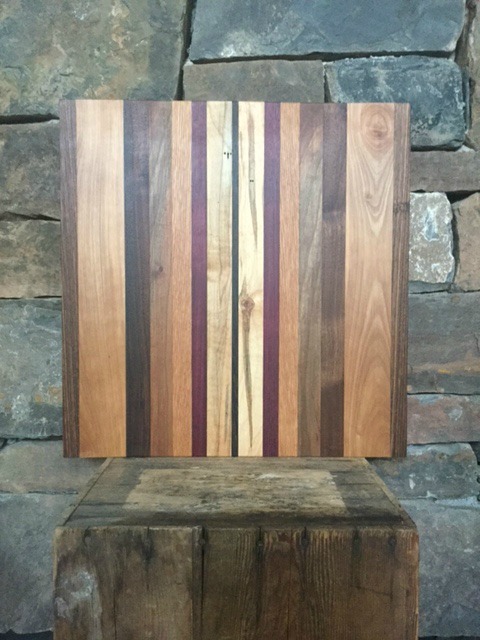 Each board is individually crafted with a live edge or as a rectangle. 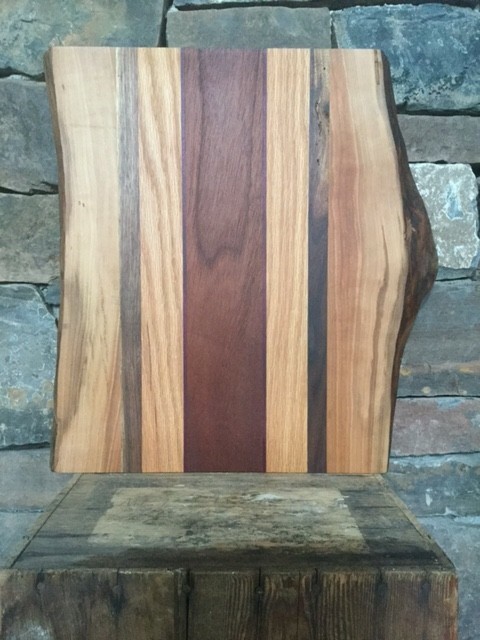 Boards are finished “food safe” in a mixture of melted wax and mineral oil. 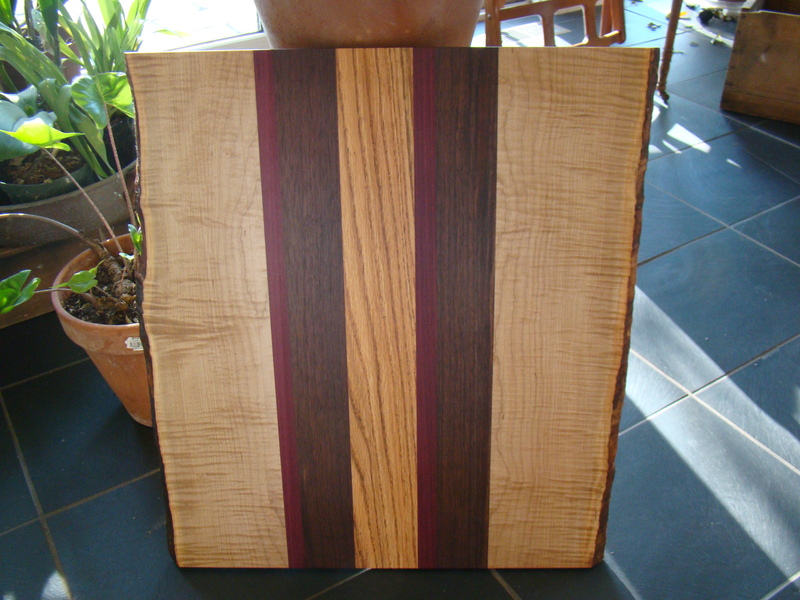 This is a double live edge, 7 strand board with cherry, walnut, purpleheart and oak. 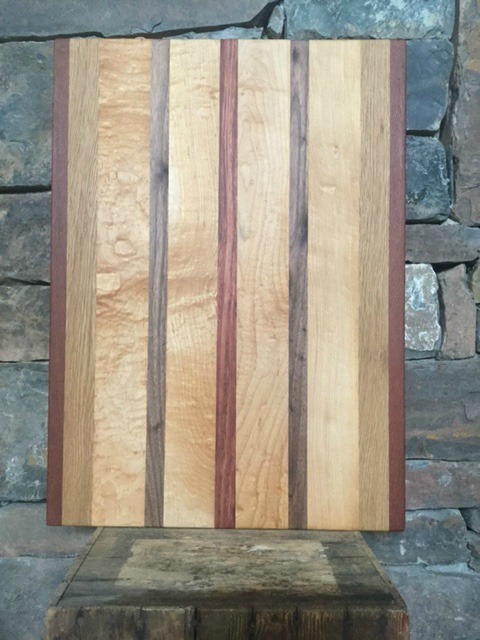 A serving board with a real presence. Great variety of woods (lace, oak, maple, walnut...) brought together in a large format.